Maahanmuuttajataustaiset ehdokkaat Helsingin vuoden 2017 kuntavaaleissa – ääniharavia vai nimiä listoilla? 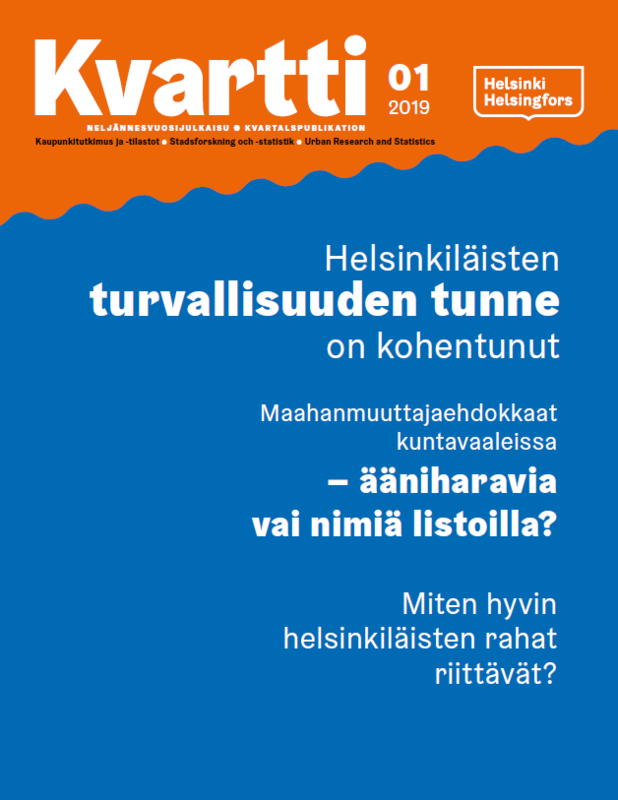 Kvartti publishes articles presenting new research and statistical information on Helsinki and the Helsinki Region. The journal appears quarterly in print. The online journal contains the full content of each issue as well as blogs and comments. The articles published in Kvartti can be searched by author, topic, issue number and publication date.